Think of it as a glorified water heater that happens to produce an extra 60,000 watts of electricity, 24 hours a day, 7 days a week. 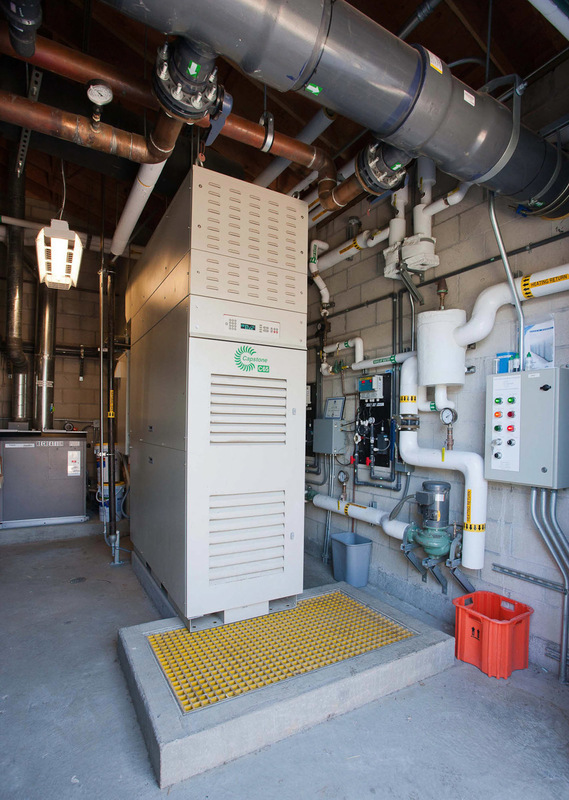 Heat a pool with it, provide 100% of the facility's electricity, and push excess electricity into the campus grid. Typical payback may be within 5 years and 10 year IRR may approach $400,000 per microturbine in energy savings. With proper maintenance these systems can last over 20 years with potential energy savings in the millions.